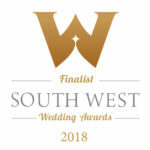 We are delighted to be finalists in the South West Wedding Awards, the most prestigious wedding awards in the region. 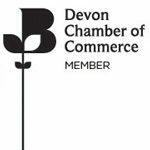 We were shortlisted along with four other establishments in the South West for the award of Wedding Venue – Town. Congratulations to the winner of this category, China Fleet Country Club! 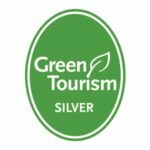 We are honoured to be recognised amongst the best wedding venues in the region. 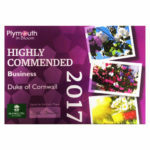 This competitive category saw nominees stretching from Cornwall to Gloucester, it truly is a proud achievement to reach the finals. 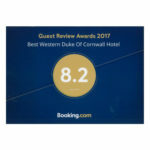 Thank you to the South West Wedding Awards for putting on such a great show. 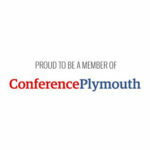 The glitzy ceremony, which took place at the Crowne Plaza hotel near Plymouth Hoe, brought together wedding industry professionals and celebrated excellence across a wide spectrum of wedding-related services. The event saw awards dished out to businesses in fields that included entertainment, photography and cake design. We look forward to helping make dreams come true for the couples yet to experience the Duke’s magic as we continue to work hard to be the best in the future. Here are a selection of images from our stylised wedding photo shoots, showing the endless possibilities with a wedding at the hotel.